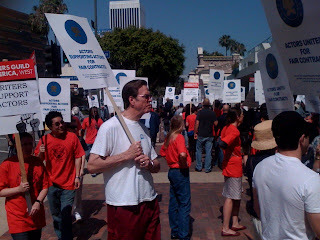 SAG had a rally against AFTRA's decision to sign with AMPTP this morning. A number of celebs showed up to support this effort. I, of course was on site photographing the event.